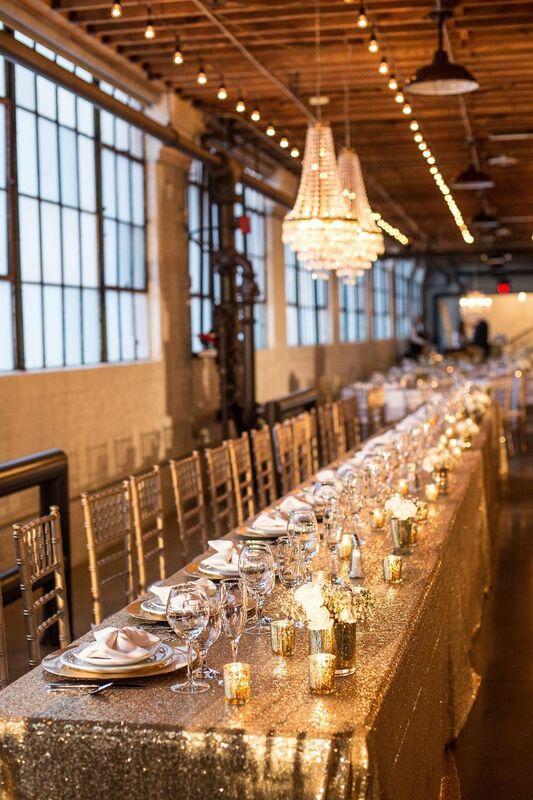 Gold Sequin table cloths for the top table or your head table. Long in size so you can also use it for the sweet table or guest tables. We have the luxurious gold linen in stock for hire. Get in touch for more or click add to quote to receive your personal quotation. Damages are charged at the full retail price of the item which can be sent over to via email. We take 50% of the total value to reserve your item. Have any changes to your order? We now have these white pedestals available for hire. Perfect for that glamourous gorgeous floral arrangement. 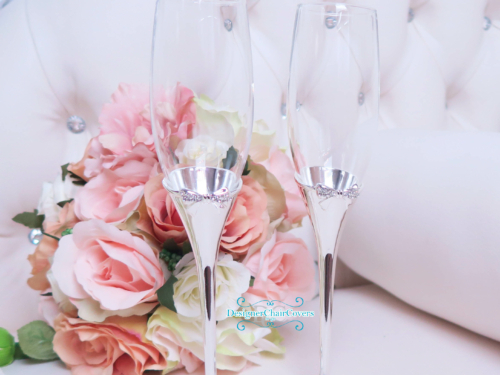 Hire with our silver urns or vases or centrepieces. To be added at either the front of the ceremony table or your top table Versatile and a perfect piece to place your floral arrangements. Gold like the silver chairs are an elegant opulent colour, more of an antique shade than the loud shiny gold it really is a lovely choice for many venues around London and surrounding counties. The Gold is a Designer favourite 2015 and 2016 is filling up very quickly for our gold chairs so please get in touch asap with your dates and quantities. Our Gold beaded charger plates are the talk of the town... Highly elegant and a stunning statement piece to add to any table. These glass beaded gold charger plates are the latest addition to our catalogue of all things beautiful! The charger plates create a stunning placesetting for your guests and overall room decor so as not to have an empty table when your guests arrive. The plate is then placed on top of the charger plate for the meal and adds to the tables high glam feel. Glamourous and one of our favourite items for decor! Why not add our gold candelabras or gold chiavari chairs for the ultimate regal look! The Clear wedding table is a new piece added to our head table furniture. The table has a double layer making it perfect to add hundreds of fresh or silk rose petals in between the layers. Giving the illusion of dining on a bed of petals. The table is a grand 6ft wide giving the couple enough space to enjoy their meal also providing a lovely focal point on any stage for the sweetheart table. The legs can also be customised with silk flowers or petals. Hire with our love sofa or throne chairs for a real dream head table. Chiavari chairs have become all the rage in decor and we have picked the most unique and gorgeous colours when it comes to chiavari chairs. Our silver chairs are an elegant subtle option for a real stunning affair- these chairs really are everywhere now most American films if they have a movie scene will always include the chiavari chair. They don't require chair covers as they are a decoration item in itself For more information on our chiavari chairs get in touch today. The Pleated Table skirt is used to decorate the top table and cake table which are places that guests focus on for the duration of the wedding reception. Unlike a table cloth it is perfect as it hangs down the sides of the table to cover the legs of the table to fall almost to the floor. Table cloths are nice however table skirts really finish the look by creating a tidy pleated pattern which is certainly more pleasing on the eye, perfect for top tables and the photographer images. Our Table skirts look even better when paired with our table swags to create the luxury top table appearance. Table skirts also look good for the buffet table or gifts table. The Gold wedding sofa set Our latest sofa set is this luxury supreme ivory leather with beautiful crystal gem detail. Perfect for the bride groom and parents which works superbly well for the important photo opportunity. The sofas are often used for the engagement parties or the wedding itself. Add the sofa alongside a unique backdrop or the panel backdrop or create a sweetheart table with the sofas. Lots of options available and customisable. Get in touch for information and pricing. The Sofa can be used alone for just the bride and groom or you can use the two side chairs for parents or guests. We are flexible always go the extra mile for our clients - so let us get started in creating something stunning for you. As a large holder of a variety of candelabras we have had to create alternate options for the venues and customers that would like a safer option than a naked flame. We have for hire our artificial candles which come as an option when hiring from our candelabra range or if individually. The Chandelier backdrop Our latest backdrop has finally made its debut at a wedding this past week. This is a backdrop that screams elegance, texture, opulence, and creates a real wow when your guests enter the room. As you can see the backdrop features our bespoke in house created leather panels, our luxury chandeliers and a dramatic draping system this is sure to leave your guests with open mouths on entrance. It truly is a wonderful top table setting which can be used with our sofa setting or as a top table. Lace is very much in at the moment so keeping ahead of the trend we have got these gorgeous ivory lace vintage table overlays in for hire. Large enough to fit a 6ft round table as well as the other sizes- the vintage lace overlay can compliment coloured table linen as featured here with (Champagne gold table cloths) Alternatively it works very well with Traditional white table cloths. We also have the long trestle table linens for the top table. Get that ultimate vintage look with the hire of your vintage table linen. Chrome luxury lanterns have also been added to the warehouse- the multi- functioning lanterns are ideal to decorate the aisle as a glam way light the way as you walk up the "runway"! Lanterns are a classic and beautiful item for a romantic atmospheric feel to the room for yourself and your guests. Available in Medium and Grand Get in touch for details! The Luxury silk filled flower wall has become the rage at Designer Chair Covers To Go, and its easy to see why. Its our latest backdrop to feature first at a lovely Savoy Wedding. Filled with colourful fuchsia, ivories, pinks, reds and whites the flower wall makes for a beautiful backdrop for your top table, cake table, sweetheart table or simply a place to have a bit of luxury for photographs. The Flower Wall is customisable to match your colour scheme from a pure white wall to an infusion of colour. Coming in various sizes from 3M to 6M we can create something beautiful for you. More information get in touch. The Luxury Ice Chair is our exclusive new chair. Being the only company to stock these beautifully created chairs in the UK. 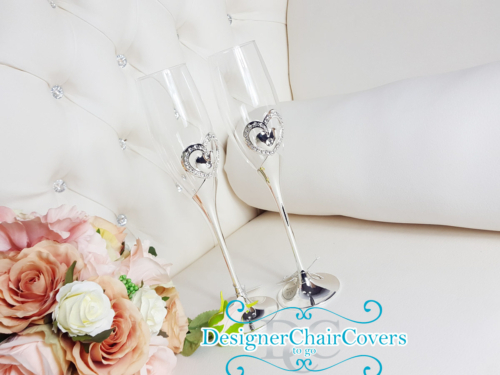 The chairs are a true statement piece and are featured all over Instagram and wedding blogs. With popular demand new for 2015 sees our latest item enter the warehouse. The beautiful white leather jewel incrusted sofa is a perfect compliment to the top table. The sofa has featured heavily in American social media so we felt to be the first in this country to offer such a sofa. The double seat sofa for the two joining the knot is a perfect finishing touch to your top table. Use the sofa for a sweetheart table- just the two of you- or add it to the top table for the ultimate look in luxury and glamour.